Celebrity couple Professor Green and Millie Mackintosh have stepped into the shoes (or sheets, if you will) of John Lennon and Yoko Ono in aid of War Child. They’re promoting the launch of River Island’s new Come Together charity T-shirt – all made possible thanks to Worn Free. 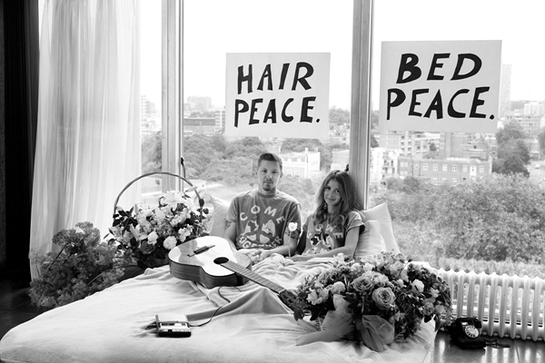 The John and Yoko ‘bed-in’ was a famous statement for peace and Millie and Professor Green’s photograph reflect issues which existing today. Profits from the Come Together t-shirt are donated to War Child to support their work protecting the world’s most vulnerable children from the brutal effects of war. 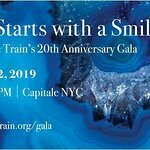 It is an exact replica of the t-shirt which featured the Come Together design, originally worn by John Lennon at Cannes Film Festival in 1971.